As we all know that Royal Enfield is planning to launch Cafe Racer in India in early 2013 and we’ve just managed to lay our hands on the first ever studio shot of the 2013 Royal Enfield Cafe Racer 535 motorcycle. The motorcycle will come with a massive 535cc UCE engine and will come equipped with fuel injection technology (EFI). We are still waiting for the power and torque figures to be released. However we feel that the engine will churn out peak power of about 30 Bhp and peak torque to be rated at about 42 Nm. These figures will make the Cafe Racer 535 the most powerful production motorcycle in the Royal Enfield line up. Thanks to Royal Enfield engineers who chucked out unnecessary things, reducing kerb weight of the motorcycle. 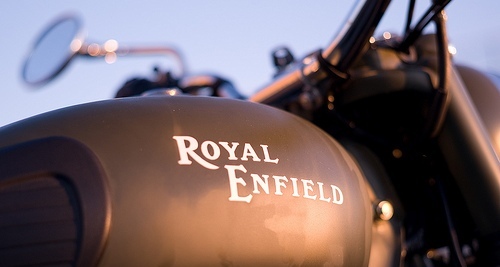 This combined with the higher power and torque figures, will make the Cafe Racer the fastest production Royal Enfield. 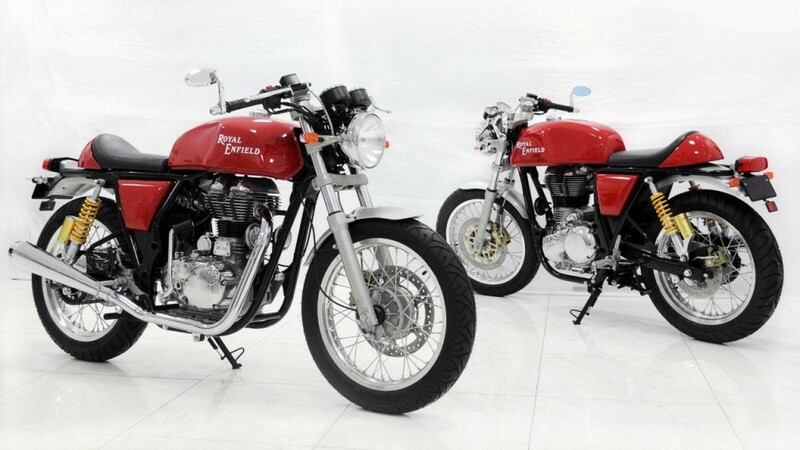 The Cafe Racer 535 will be built at Royal Enfield’s new plant at Oragadam, off Chennai. As seen in various motor shows, Cafe Racer 535 comes with a single seat and a rear cowl to give the motorcycle a racy look. However the Indian-bound model is expected to get a slightly longer flat seat that will allow two adults to squeeze atop the motorcycle. The 2013 Royal Enfield Cafe Racer 535 gets disc brakes for both wheels, fatter front forks from the new Thunderbird 350/500, the new instrumentation console and lock system borrowed from the Thunderbird twins, a brand new fuel tank and brand new gas charged Paioli rear suspension. Another important new item is the double cradle frame that holds the engine unlike the the single donwtube item that the current crop of Royal Enfield motorcycles come with. The motorcycle will sport the new swing arm (from the Thunderbird twins is a new design) which will help in attaining high speed stability. Watch out this space for details ! !